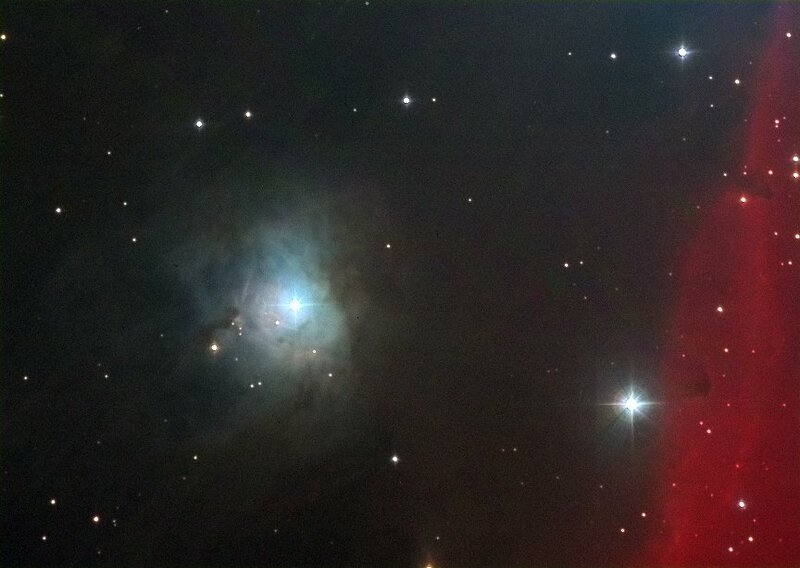 NGC 2023 is a reflection nebula close to the Orion belt and to the Horsehead nebula. It is illuminated by a Mag 6 star. Towards the right of the image, in red, is the start of the Horsehead emission nebula (IC 434).